Sarah Jones: What's The Line Between Stereotyping, Celebrating Culture? Playwright and performer Sarah Jones has a chameleon-like ability to change personas. Through these personas, she explores the fine line between stereotyping and celebrating different ethnic groups. What's The Line Between Stereotyping, Celebrating Culture? < What's The Line Between Stereotyping, Celebrating Culture? So a few years ago, Sarah Jones went to LA to audition for a TV show and this was before she became a well-known playwright and performer. Anyway, one afternoon she took a walk around Hollywood. SARAH JONES: And I was walking with a fellow woman of color, as we say, and we were crossing the street. I think it started to say Don't Walk as we were, you know, making our way to the other side. RAZ: And out of the corner of her eye, Sarah saw a police car drive up, lights flashing. JONES: And I remember thinking, oh I wonder who they're flashing their lights at - there aren't any cars in the vicinity. There's only the two of us crossing the street, there's no way we could be, you know, getting pulled over - you can't get pulled over while you're walking. And in fact, you can and they did bend us over the car and say, are you girls working tonight? And it wasn't even night time - it was like, the middle of the day. RAZ: So they sort of stopped you and they told you to turn around so they could frisk you? JONES: Absolutely. It was like, are you girls working tonight? And you know, I just remember, you know, I can't say I went ballistic, but (imitating English accent) I had the instinct if I started talking like that, they'd be a lot more respectful - that I'd sort of stop them with my superpower of transmuting my class status and nationality in the moment in real time, but I thought better of it, thank God. RAZ: So it's important to know that this is what Sarah Jones does as a performer. She becomes different ethnic characters and by the way, all the voices that you'll hear for the next 10 minutes or so? They are all Sarah Jones and a few years ago she won a Tony Award for a play she wrote based on those characters. Now, all that success happened long after that day the cops stopped her in Hollywood, when Sarah realized her first instinct was not to be herself. JONES: You know, my thought was, I need to elevate my status somehow. I'm a woman, I'm a woman of color, I'm with another woman of color. We are, you know, low on the ladder of who requires respect. RAZ: So the cops did let Sarah and her friend go, after about 10 minutes but at that moment it hit her just how much she'd internalized the way those cops saw her and how even before she spoke a single word, all of these assumptions were made about who she was. So when she went back to New York, she started to focus her work on this very idea on how we perceive others and how they see us. JONES: Wherever I am and there's an underground or a bus system, I try to ride it and looking at all of these people packed into a small space together, I've thought about, you know, what if, (imitating various accents of people on bus) you know I'm sayin' the kid, you know I'm sayin' or the young dude, African-American, whatever you want to call it - he's standing there kind of looking around the train and he sees this little old lady and what if he looks at me and he's thinking he knows what's going through my head? And what would I have to say to the both of them and that it is entirely possible that we would all come together and say, did you see that episode of "Game Of Thrones" last night, my God? RAZ: We've all been judged for reasons beyond our control, perceived to be something we're not and the thing about it is, we all do it to other people, too but can understanding why really change anything? Today on the show, TED speakers who are all playing with perceptions, challenging stereotypes and in some cases, embracing them. RAZ: Like Sarah's character Bella. JONES: (as Bella)...It's even like the kids I babysit, when I talk to them, they're kind of like, the only president they've ever known is black and like, I really kind of like, identify more with that than like, the people who are like, oh, my God - black, white. Like, let's keep like, talking about how different we all are for another 24-hour news cycle. It's like, you guys are like, are really bored. RAZ: So if you watch Sarah's performance - and if you get a chance, you should because it's almost impossible to believe that these voices are coming out of the same person - you find yourself wondering if what you're watching is like a series of stereotypes and whether that's OK. Here's Sarah Jones on the TED stage. JONES: (As Noraida) So I am very happy that you are, you know, doing this kind of thing, making the talks available online that's very good, I love that and I just - I love you guys. I love TED and if you don't mind, privately now in the future I'm going to think of TED as an acronym for technology, entertainment and Dominicans. Thank you very much. JONES: So that was Noraida and just like Lorraine and everybody else you're meeting today, these are folks who are based real people from my real life - friends, neighbors, family members. I come from a multicultural family. In fact, (as older lady character) the older lady you just met - very, very loosely based on a great-aunt on my mother's side, it's a long story, believe me. But on top of my family background, my parents also sent me to the United Nations School where I encountered a plethora of new characters, including, (as French character) for example, my French teacher, you know and she would be there you know, kind of talking with the class, you know, talking about, you know, the existential futility of life, you know and we were only 11 years old so it was not appropriate. JONES: So there were the teachers and then there were my friends, classmates from everywhere, Many of whom are still dear friends to this day and they've inspired many characters, as well. For example, a friend of mine, (as Praveen Manvi) well, I just wanted to quickly say good evening. My name is Praveen Manvi and thank you very much for this opportunity, of course. RAZ: I mean, of course there are elements of all these people that's hyperbole, right? It's like a sort of caricature of a type of person, but they exist. JONES: They do. That's absolutely true, you know? Just the concept, like, what is a stereotype anyway, you know? And I remember somebody asking me about, well, you know, you don't want to portray, for example, a Latino person who's a domestic worker or you know, an Italian-American who's a cop - you can't do that. Why can't you do that? That itself isn't the problem. I think for me, where it starts to get tricky is when I'm assigning, you know, some kind of moral judgment on, you know, oh - well, if you do this kind of work, you must be a person who's limited or less-than. That is where it gets tricky. Or, I guess it's just the oversimplification, like, stereotyping is about taking what's true and oversimplifying it in a way that seeks to oppress or marginalize a group of people. RAZ: And I mean, what you do, I guess, is more like an homage. JONES: I hope what I do is, you know, portray people as honestly as I can with a view to like, I don't want to say sustaining, but sort of just honoring their basic humanity. I try not to strip away what's actually there. RAZ: But I mean, in doing that you have to kind of stay aware, right? That you're not crossing a line and then offending someone, right? JONES: You know, I - well, I'll let somebody else field this. Let me see. (As Pauline Ling) My name is Pauline Ling. I think I know you from the TED conference? You are one of those TED people. TED Guy. OK, that's my bad joke, but even though as immigrant, my English, it's not perfect. I think that people, when they get offense, it's because inside they feel so fear that they will not be able to see the person, only they hear accent. They say, oh - oh, no - I am not supposed to relate to that person. If I am happy, you cannot offend me. I speak the way I speak. No problem, I don't have fear. Your offense is probably - it's about you, not me. RAZ: OK, whether or not you agree with Sarah, what she's really trying to say with her performances is that when it comes to stereotypes, to the way we view each other and our differences, we are probably way over-thinking it. JONES: And what I think we need is to under-think it. We need less pontificating and analysis and brow furrowing and kind of nervous handwringing, and more truly honest conversation. The times when I have most fun - I've gone and performed such incredible places. You know, Indonesia or Ethiopia, or in the Middle East, you know? Wherever I've gone, the conversation is so fruitful when we just sit there and get really rigorously honest in the moment and it's not always pleasant the entire time. It can get a little messy but I think all this tidiness isn't doing us any good, it just spills out anyway. JONES: (As Habbi Belahal) Good evening. My name is Habbi Belahal and I would like to first of all thank Sarah Jones for putting all of the pressure on the only Arab who she brought with her to be last today. I am originally from Jordan and I teach comparative literature at Queens Colleges so if you will indulge me, I will share quickly with you a bit of verse which I memorized as a young girl, 16 years of age - so back in the ancient times. (Speaking foreign language). And this, it roughly translates - please let me hold your hand, I want to hold your hand, I want to hold your hand and when I touch you I feel happy inside. It's such a feeling that my love, I can't hide, I can't hide, I can't hide. JONES: (As Habbi Belahal) Well, so - but please if it is sounding familiar, it is because I was at the same time in my life listening to the Beatles. On the radio in (unintelligible) they were very popular. So all that is to say is that I like to believe that for every word intended to render us death to one another, there is always a lyric connecting ears and hearts across the continents in rhyme and I pray that this is the way that we will self-invent in time. That's all. (Speaking foreign language).Thank you very much for the opportunity, OK? Great. JONES: Thank you all very much. It was lovely. Thank you for having me. RAZ: Sarah Jones, as Habbi just now. She's given two TED Talks and you only heard excerpts one of them here. Check out both of them at ted.com. JONES: (As Bella) I was like, totally not expecting to like, be asked to join this like, roundtable? It's like, not really round. RAZ: I'm not sure if I would ask Bella (laughter) to babysit my kids, but maybe. JONES: (As Bella) I'm an exceedingly responsible babysitter. RAZ: I'm Guy Raz. More ideas about the limits of perceptions, assumptions and stereotypes in a moment. 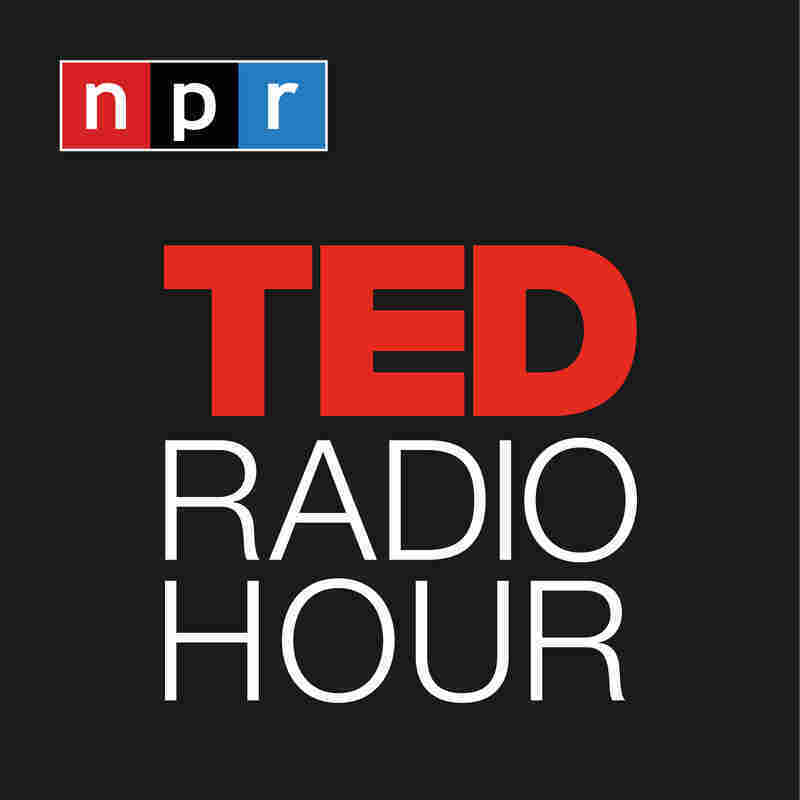 You're listening to the TED Radio Hour from NPR.